You hear about it all the time: people driving in the wrong direction down the interstate or on the wrong side of the road, and you wonder, how can they not have noticed? To many, driving on the wrong side of the road seems as outrageous as forgetting how to breathe, yet people do it, and when it happens, injuries do occur. Just recently, a young woman drove 10 miles on the I-95 before being stopped by authorities. Unfortunately, though she was not injured, her reckless behavior caused four other vehicles to crash. Two days after this incident, 24-year-old Franklin Chavez was sentenced to seven years in prison for this very thing. However, Chavez—who was reportedly drunk at the time of the incident—ended up killing 23-year old Carmen Rosa Criales. The victim’s mother was in the car, but survived. She now has to live with the emotional trauma of losing her daughter every day. Chavez was reportedly intoxicated at the time of the incident, and was cruising at more than 75 MPH in the wrong direction with his lights off. Chavez, for all intents and purposes, is a good person. He cried on the stand, apologizing over and over again to the victim’s family through his tears. Despite his remorse, however, the fact remains: his negligence cost someone else her life. For this reason, the judge sentenced him to seven years in prison, 120 hours of community service, and the revocation of his license for ten years. Franklin Chavez just wanted to have a fun night out with his friends, but unfortunately, that fun got out of hand, and at 5:22 AM on a cold December night, he went speeding in the wrong direction on I-95. He crashed into the vehicle driven by Elisa Diaz. Diaz had two other passengers in her vehicle at the time: her son Bryan and her daughter Carmen. Carmen, a medical student, was killed on impact. Elisa was unable to make her own daughter’s funeral, as she was in the hospital recovering from her own injuries. Bryan is now confined to a wheelchair and no longer has the ability to speak. Despite clear evidence indicating that Chavez was indeed drunk at the time of the accident, prosecutors were forced to drop the DUI-manslaughter charges. When Chavez’s blood was drawn, state troopers had no probable cause to do so, thereby making the evidence inadmissible. By the time his blood was drawn in the hospital, it was too late to get an accurate gauge of what is BAC was at the time of the accident. While the botched blood draw may have been a stroke of luck for Chavez, his punishment served as a wakeup call for drivers all across Miami. It is possible to receive a jail sentence for negligent driving, even if alcohol is not involved. Also, negligent driving can have severe, and even fatal, consequences, which can be considered criminal and are punished as such. If you or a loved one was injured or killed by a negligent driver, you deserve to be compensated for your loss. Let a Miami car accident attorney fight on your behalf for the justice and damages that you deserve. 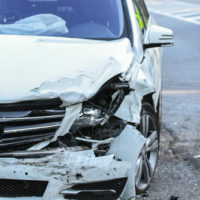 At Spencer Morgan Law, we have over 20 years of experience helping victims fight for their rights after a debilitating car accident. If you are ready to pursue legal justice and the monetary compensation you need to make yourself whole again, reach out to our team at 305-423-3800 to schedule your free consultation today.